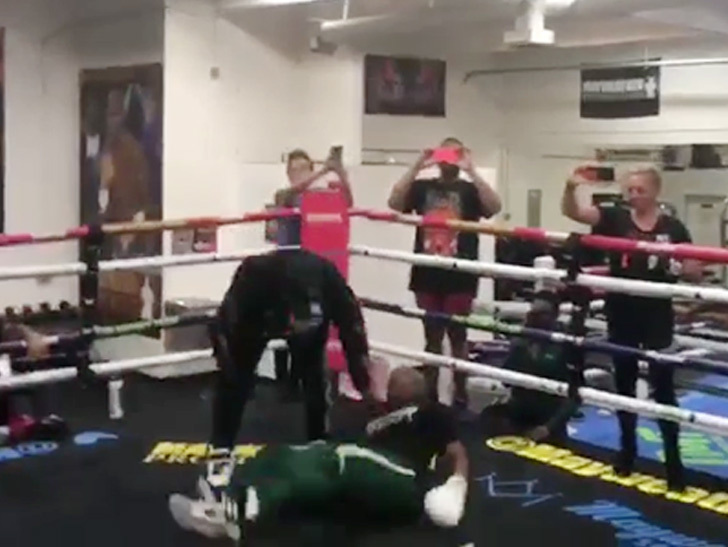 You barely EVER see a Mayweather get knocked down in a boxing ring — but that’s what happened when Floyd‘s 66-year-old dad strapped on the gloves this week … and it was all caught on video. Don’t worry … he’s tough — he’ll be fine. Floyd Sr. was 28-6-1 as a pro — but his real success was training stars like Oscar De La Hoya, Laila Ali and, of course, his son. Pregnant Jessica Alba Stuns With Adorable Daughters Honor and Haven: Pics!